The Z525E offers unmatched quality, performance, and comfort, along with exceptional maneuverability and trimming capability. The Z525E is equipped with the new Accel Deep™ Mower Deck that can side discharge, mulch, or collect with a 6.5-bu rear bagger. The Accel Deep™ Mower Deck has a single-piece stamped steel shell specially shaped to maximize airflow for optimal cut quality, especially at faster speeds. What makes the Accel Deep™ Mower Deck unique is its 4.5-inch-deep shell that extends all the way around, and its smooth shape. 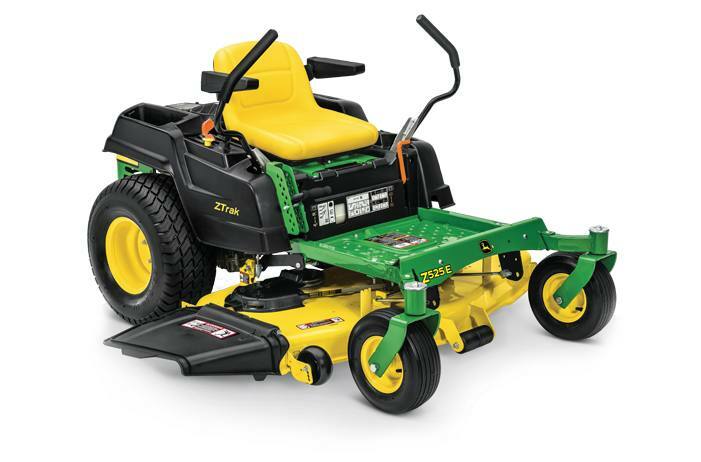 The deep shell maximizes airflow to lift grass up for the most level cut possible.